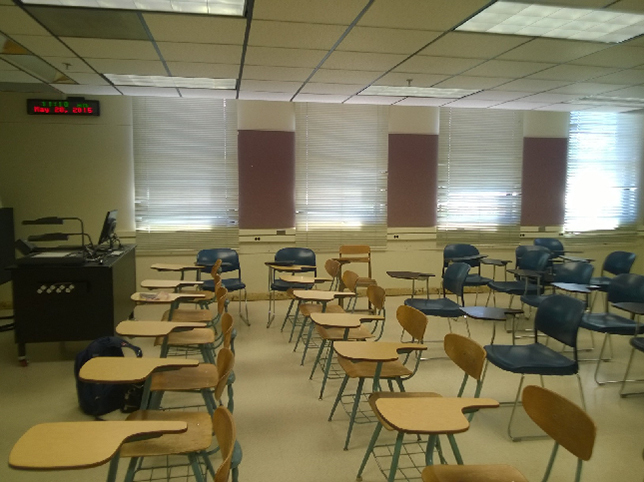 A classroom at the University of Arizona is part of a study to find the best way to leverage physical classroom space to implement active learning initiatives. 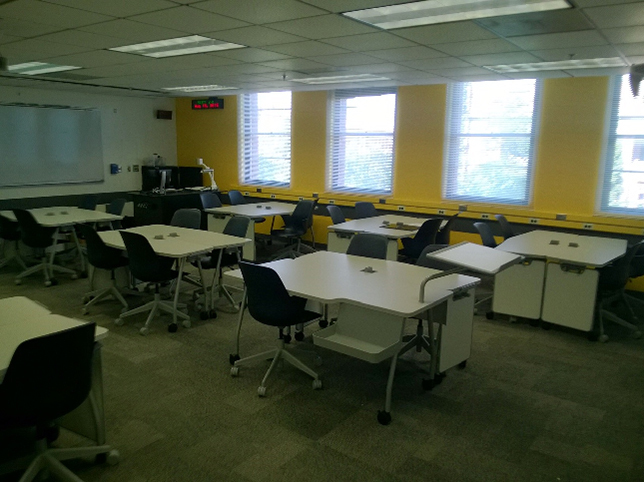 Thanks to an Active Learning Center Grant from Steelcase Education, the University of Arizona has revamped one of its classrooms in to experiment with state-of-the-art classroom configurations. Steelcase is working with a group of K-12 and post-secondary schools to study how it can leverage physical classroom space to implement active learning initiatives. Before an Active Learning Center Grant, students in Patrick Baliani's classes were stuck in old-fashioned desks. With the grant, Steelcase outfitted the classroom where Assistant Professor of Interdisciplinary Studies Patrick Baliani and a dozen other instructors teach with 15 tables that can accommodate two students each. Most importantly, the tables have wheels that make it possible for Baliani and his students to move around the room into different configurations — depending on what kind of activity they are involved in. In addition to the movable desks and chairs, there is also an interactive projector and whiteboard, along with smaller 18- by 24-inch whiteboards for every student. In the revamped classroom students sit at tables that can easily be moved around the room. "The new configuration plays to some of my strengths," said Baliani, who teaches advanced analytical writing and thinking in UA's Honors College. He pointed out that the flexibility he now has with the classroom setup lends itself to more a decentralized, student-centered, data-focused approach. "It's kind of like theater in the round." Baliani and his students are participating in a study Steelcase is conducting on how to intentionally design classrooms to enhance active learning. The results of the study will not be available until January, but Baliani already has begun to see patterns. "I think students can see the connections between the content of the course and the form of the classroom," he said. "It will be interesting to see how they feel about being moved around so much." Other higher education institutions participating in the Steelcase study are Ohio State University and HACC, Central Pennsylvania's Community College.